THG Network (April 5, 2017) — Green ruled supreme at the E.T. 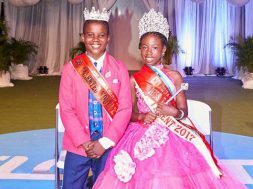 Willett Park in Charlestown, Nevis, on Wednesday (April 5) – and the St. Thomas Primary School (STPS) is in celebration mode, as the 2016 champions repeated in 2017, at the 25th staging of the annual Gulf Insurance Nevis Inter-Primary Athletic Championships. STPS will therefore hold the distinction of being the last winners at the E.T Willett Park (previously Grove Park) as the annual athletic event is expected to be moved to the Mondo Track at the new Nevis Athletics Stadium, now under construction at Long Point, as of 2018. 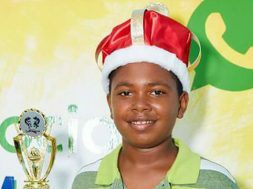 At the halfway stage of the 54-race meet, dubbed the Mini-Olympics, STPS trailed last year’s runners-up the Ivor Walters Primary School (IWPS) by 6 points – 81 to 87 – and at 4:20pm, the arch-rivals were locked on 106 points. 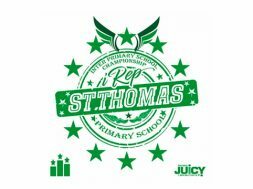 Thereafter, STPS through strong performances in the 800m, 100m and the 4 x 400 m races, asserted their supremacy ending with 191 points, eclipsing nearest rival the Joycelyn Liburd Primary (JLPS) 161, by 30 points. 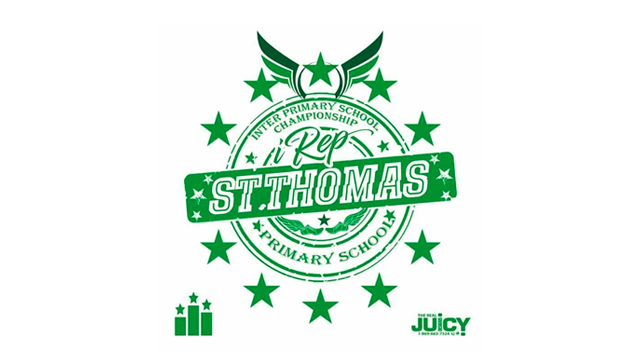 The final point standings were: St. Thomas Primary (STPS) 191, Joycelyn Liburd (JLPS) 161, Ivor Walters (IWPS) 159, Charlestown Primary (CPS) 129, Elizabeth Primary (EPPS) 125, Maude Crosse (MCPS) 42, Violet O. Jeffers-Nicholls (VOJN) 32, and St. James (JAMS) 25. 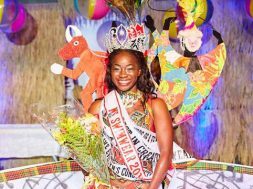 For the second year running, STPS Coach Emmanuel “Eddie” Richards pipped his wife and principal of the IWPS Janice Whittaker-Richards when it mattered….and Wednesday night might be a night of banter at their Brazier’s home. EPPS for the sixth consecutive year were “B” Division champions. 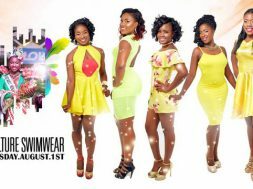 The mega event, now in its 35th year, had its humble beginnings back in 1982, but found consistent sponsorship for the last quarter of a century (1992- present) from the Trinidad-based insurance company. The 2017 Championships were declared open at E. T Willett Park on Tuesday, April 04, preceded by a parade of athletes through Charlestown. Lester Blackett, Technical Director for the event and President of the Nevis Amateur Athletic Association (NAAA), was honoured by Gulf for his contribution to the sport. Blackett used the opportunity to thank Gulf Insurance for their 25 years of sponsorship through their local agents A. L. Evelyn Limited. The meet, which drew hundreds from across the Federation and further afield, including Prime Minister Dr. the Hon. Timothy Harris, Premier Vance Amory, and other federal and NIA parliamentarians, and principals of Gulf, was held under the patronage of Nevis’ most decorated female athlete, the former CPS standout, multiple Inter-Primary victrix ludorum and Olympian Meritzer Williams. Whether you’re looking to market your business or keep up to date with what’s happening around you, THG (The Hanley Group) Network, the newest media phenomenon, should be your media company of choice.